Black pepper: Black pepper is commonly used in Indian cooking. It also has laxative properties and can help fight toothaches, headaches and sore throats. Milk with crushed black pepper soothes the throat and eases throat pain. Isabgol: Isabgol, or psyillium husk is one of the most recommended natural remedies for constipation and stomach problems. It is often mixed with curd and eaten to cure stomach issues. However, it can also be crushed and applied on joints to relieve joint pains through its anti-inflammatory properties. Turmeric: Turmeric, or haldi as it is called in India, is one of the most precious discoveries of Ayurveda. Its main components are very helpful in reducing inflammation, preventing cancer and preserving brain functions. A pinch of turmeric in milk before bedtime is proven to be excellent for health, and haldi is also commonly used for natural skincare. Triphala: Triphala is a common component of most Ayurvedic preparations. It helps in solving a lot of stomach problems including bloating, chronic constipation, and normalizing digestion. Ashwagandha: The name of this herb literally means ‘strength of a horse’.Ashwagandha has properties that promote energy and stamina. In addition to helping regain energy levels and stay focused, it also suppresses the release of the stress hormone, cortisol. Those with thyroid deficiencies can take doses of 500 mg of the herb once or twice every day before taking meals to boost thyroid production. 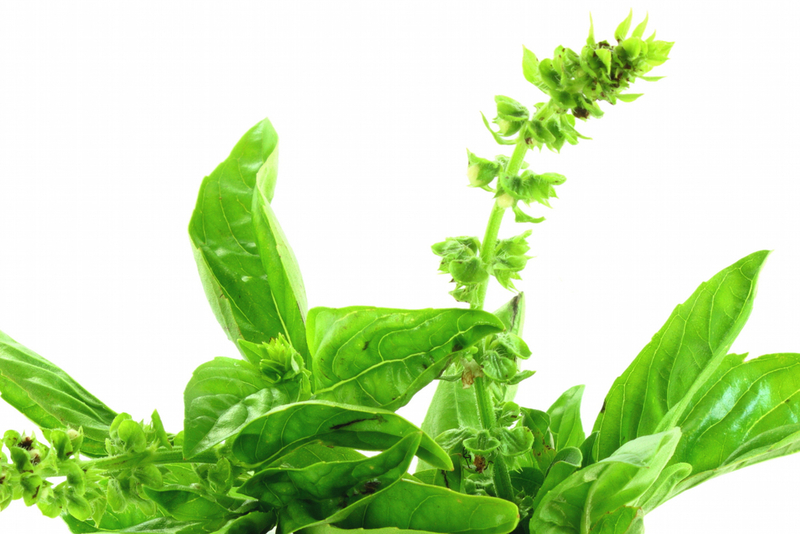 Tulsi: Basil or tulsi as it is natively called is not just a sacred symbol in most Hindu homes. In Ayurveda, the tulsi leaves have shown anti-microbial and anti-fungal activity. It also helps reduce stress. Chewing the herb can help fight coughs and soothe the throat. In addition, studies have shown that it can increase lung capacity as well. Our specially formulated Kasthuri Cough Syrup contains extracts of tulsi for healthier lungs. Tulsi can be taken in both capsule form or as part of a formulation. These are the most essential Ayurvedic herbs that can be easily used in your lifestyle as well. The roots of Ayurveda lie in finding effective and natural cures as well as preventions with a holistic approach to health and wellness. The regular use of these Ayurvedic herbs in your diet and daily activities will definitely bring about a change in your overall well-being.